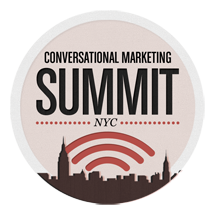 HootSuite hits the Big Apple next week for the Conversational Marketing Summit (CM Summit) from Monday, May 14 to Tuesday, May 15, 2012 in New York City. Social Media for the Summit will be powered by HootSuite who will be sponsoring the event. At the CM Summit, hobnob with thought leaders, entrepreneurs and creative professionals from some of the most cutting edge social brands and products in the tech industry today. Notable brands include Twitter, StumbleUpon, and Google. Drop by and say hello to the Owls manning the HootSuite booth: Jess Wakeman, Peter O’Sullivan and Laura Horak. There will be tons of cool stuff happening at the booth including the premiere of our new HootFeed feature (more on this later in the week), HootSuite dashboard demos and of course giveaways of our coveted Owly swag and HootKits. Be sure to Tweet from HootSuite’s dashboard and use #cmsummit in your Tweets to be entered into our contest for an awesome prize. A winner will be announced on Monday and Tuesday via @HootSuiteEvents.